Today’s special guest is chick lit author J.G. Dow and we’re chatting about Jane of Manchester. Welcome, J.G. Please tell us a little bit about yourself. I was born in Huddersfield and went to University in Manchester to study Social Science. I got into writing in my twenties, starting off with poetry and moving onto novels. I like socialising a bit and reading and listening to a wide range of music as well as a bit of walking now and then. Jane of Manchester is a fun, easy reading type chick lit novel with funny parts as well as the odd reflective bits when Jane is trying to figure out what she wants in life. Light reading. I wanted to write something a bit different from what I had done before and as I studied in Manchester, it seemed the perfect place to set the novel. 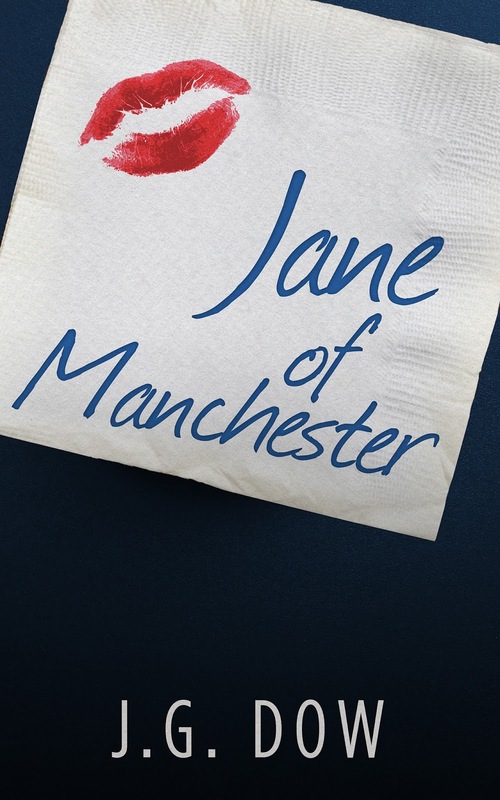 I’m currently working on the Jane of Manchester sequel and I’m nearly finished so there won’t be too long a wait until it’s out there. When I tried poetry and realised I liked that but mainly after my first book which was a sci-fi. At the moment, I do it part time but want to try and make it full time if I can get enough readers. I write in the evenings, although it probably would be better to write earlier so I may change writing times soon and see how that goes! I don’t really have one although I drink a Berocca vitamin drink while doing it so maybe that’s a quirk! I enjoy playing guitar and used to want to play in a band but I think writing is probably more satisfying in the long run! Thank you for being here today, J.G.